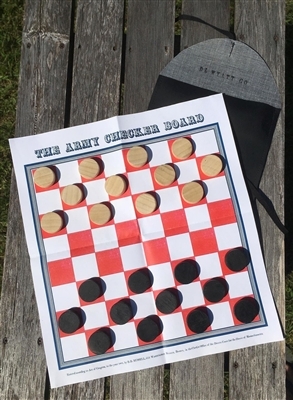 Reproduction checker set, based off of an extant original. 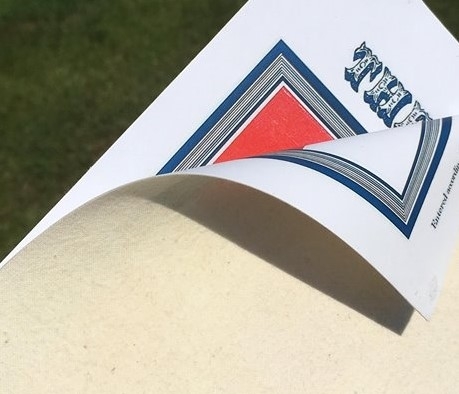 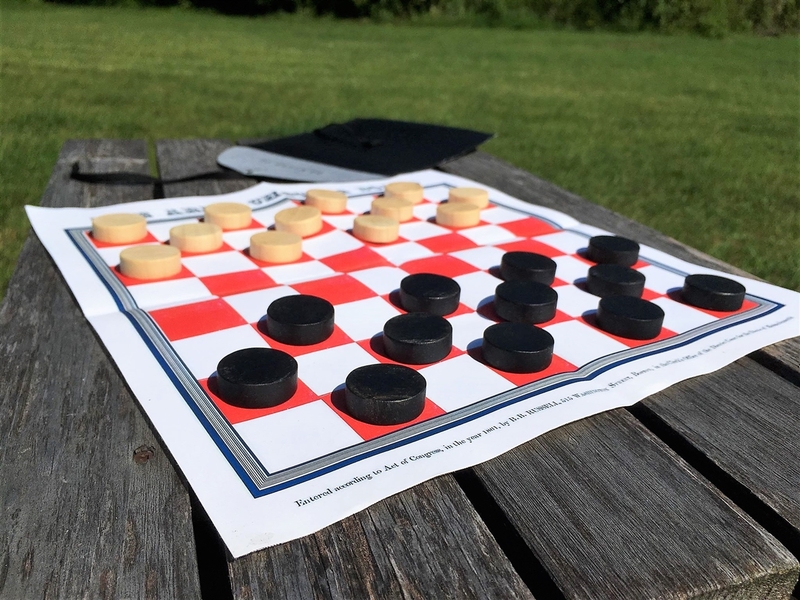 The checker board itself is paper backed in muslin, and measures 11" x 12 1/4" as per the original. 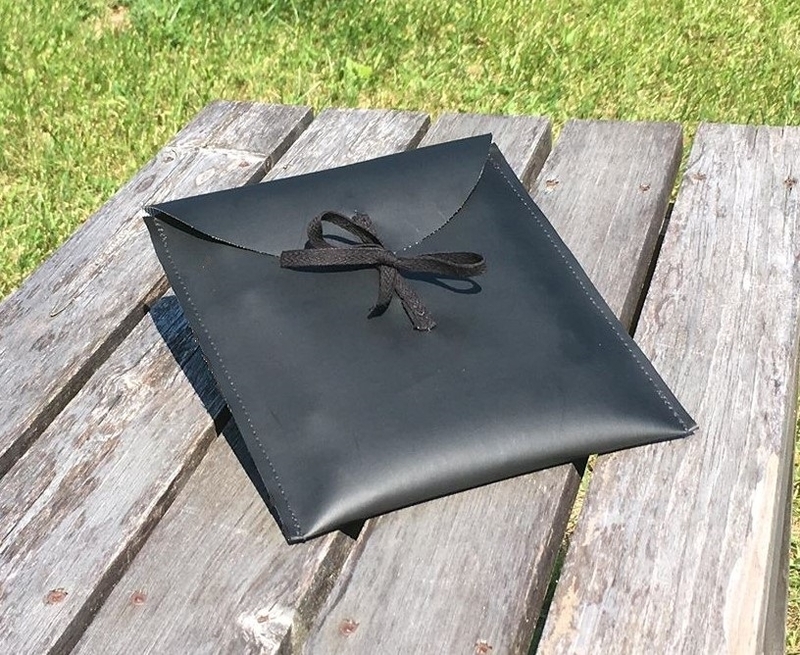 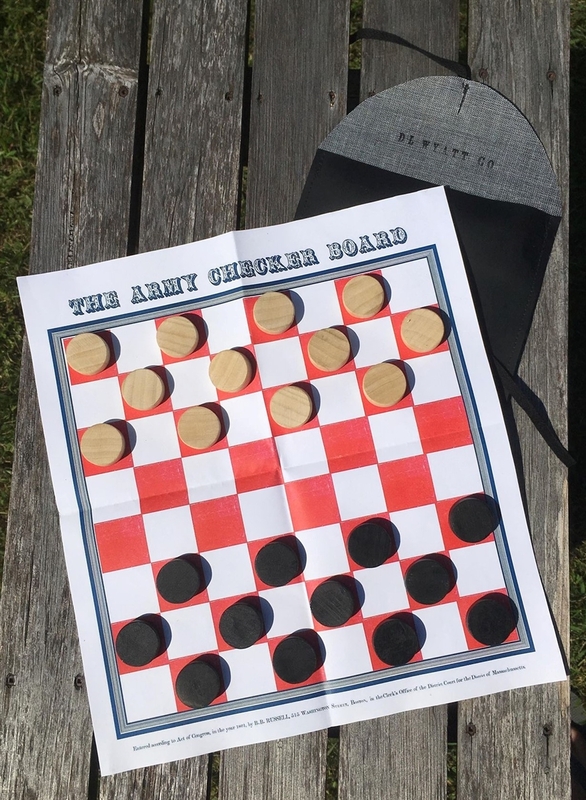 It comes with 24 wood game pieces copied off of the game pieces retained by the original board, and is contained in a rubberized cloth pouch with a tie closure.